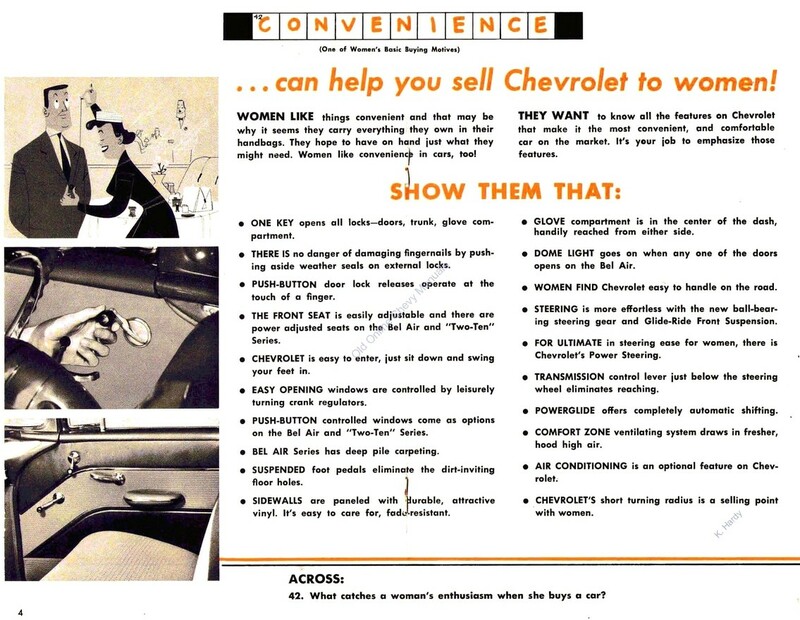 Back in the 50s, Chevrolet produced some wonderful videos and booklets about auto engineering. 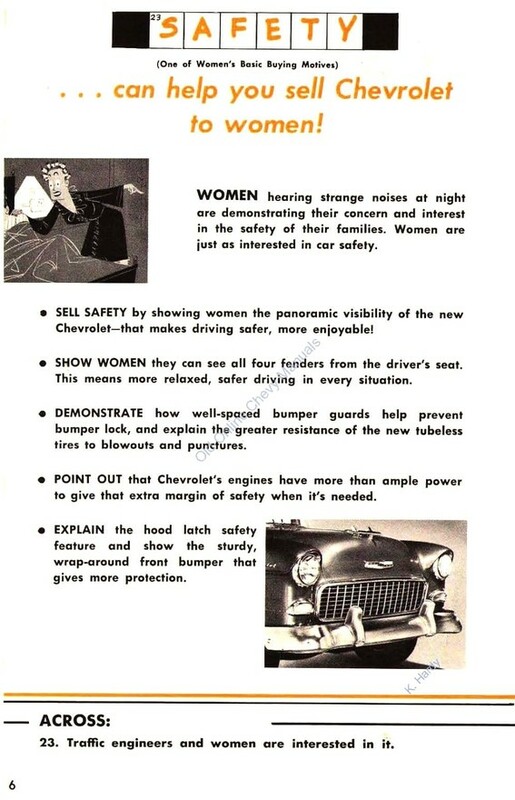 And these guides are still useful today. 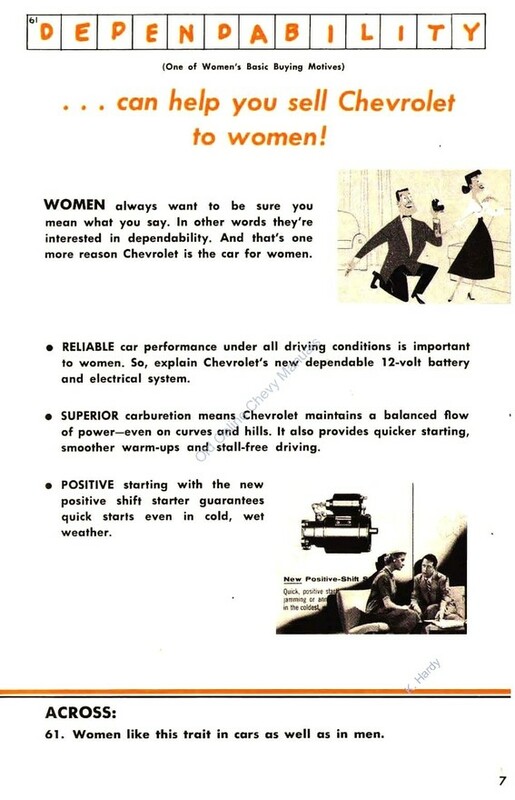 Their guide to differentials is still probably the clearest explanation of how diff gears work. 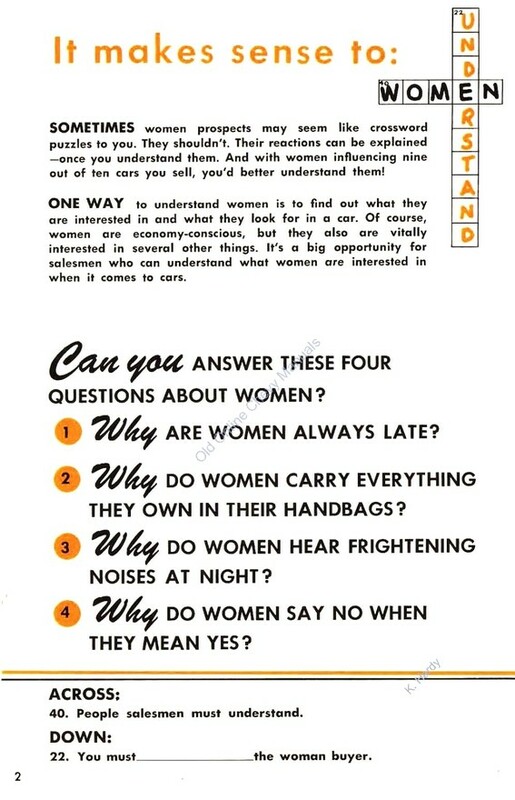 But definitely not timeless is this guide to understanding women. 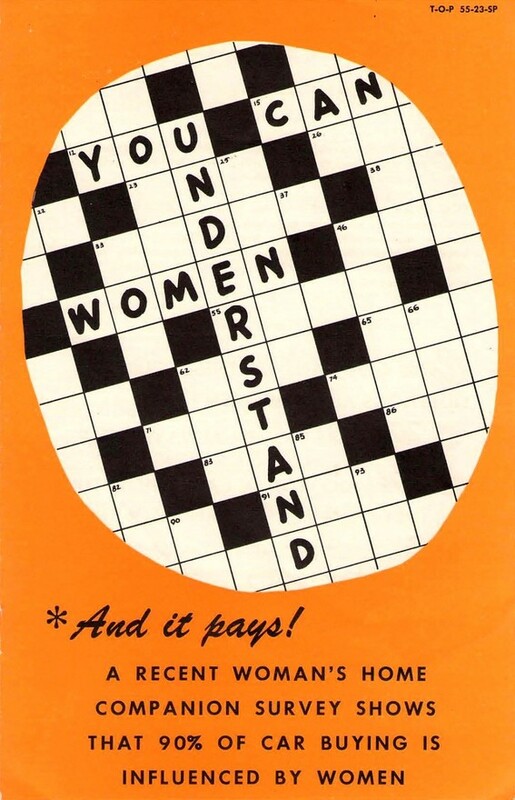 It's an artifact of the era, thankfully mostly relegated to the bin, along with the orange that it's printed in. 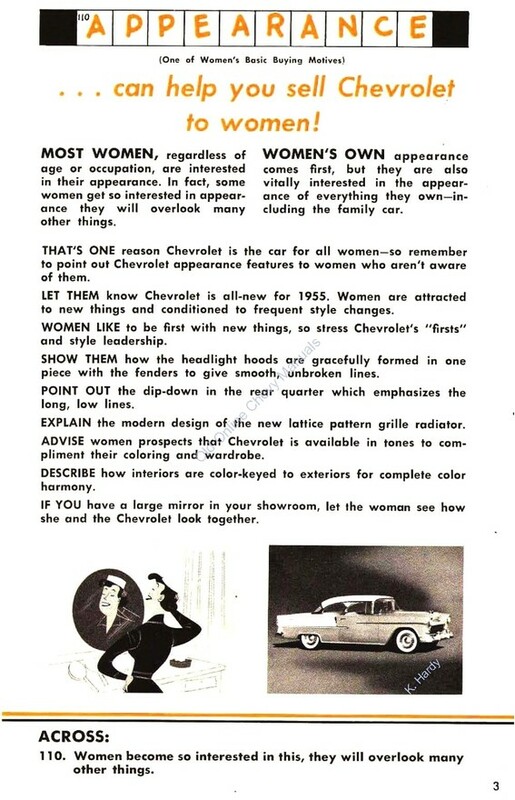 If you have a large mirror in the showroom, let the woman see how she and the Chevrolet look together. 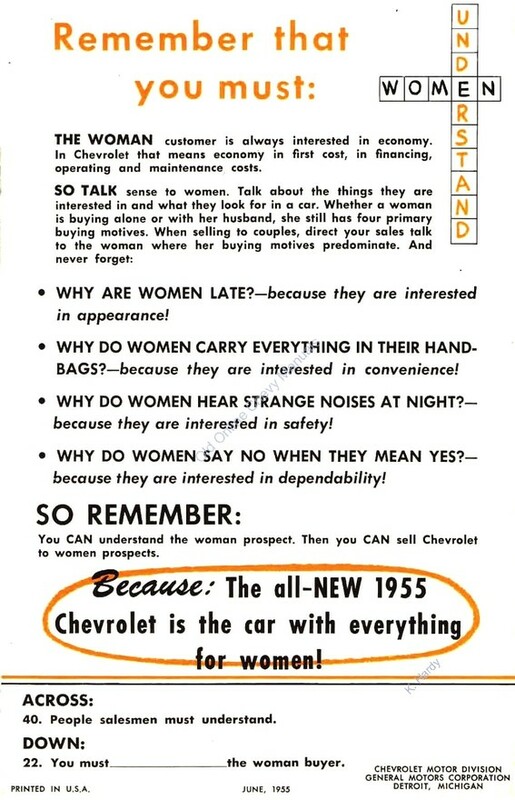 Point out the dip-down in the rear quarter that emphasis the long, low lines.